That's right, I said it. 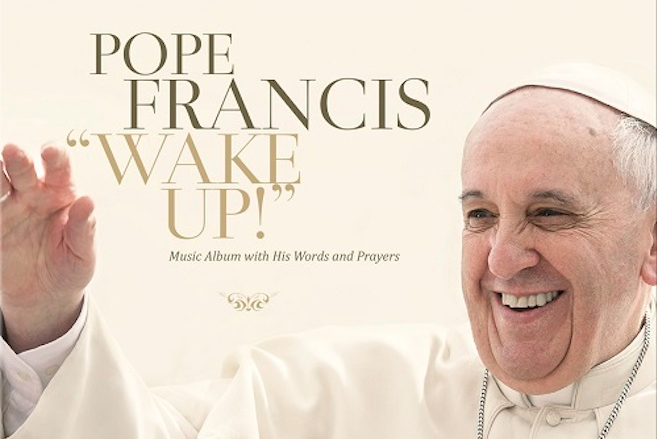 In November, the Pope will officially release a rock/pop album called Pope Francis: Wake Up! (which you can already pre-order on iTunes). And below, you can hear the first single, "Wake Up! Go! Go! Forward!" It's one of 11 tracks. According to Rolling Stone, "The Vatican-approved LP ... features the Pontiff delivering sacred hymns and excerpts of his most moving speeches in multiple languages paired with uplifting musical accompaniment ranging from pop-rock to Gregorian chant." The Pope's songs will focus on themes that Americans are getting familiar with this week: "peace, dignity, environmental concerns and helping those most in need. "Pope Francis: Wake Up! will officially go on sale on November 27th. Yup, Black Friday. This song has a very strong oldskool Yes vibe to it. Actually, it sounds like it should be on their latest album, Thirty. If I buy this, do I get indulgences?